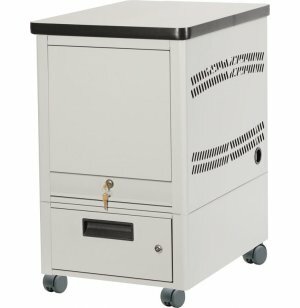 Tablet Carts offer mobile storage for tablets or E-readers. 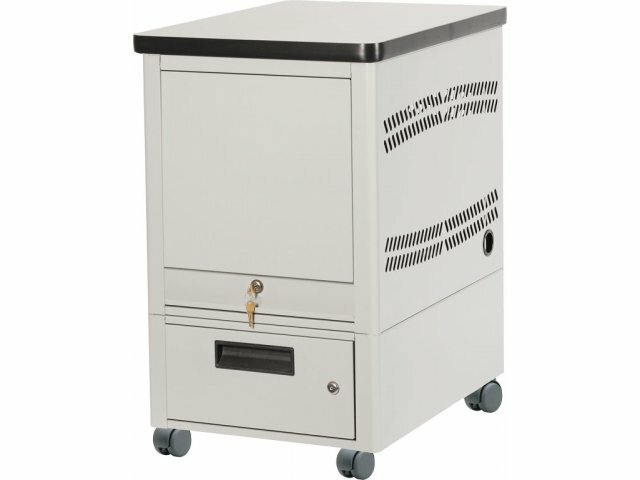 These units roll into place on 2" nylon casters and include a drawer base which provides storage for accessories, manuals, and more. Portable: 2" nylon wheels make these tablet carts easy to transport. Versatile: Laminate top turns unused space into an extra writing surface. Extra Space: Locking drawer base provides additional storage space.